92:4.3 Evolutionary religion is sentimental, not logical. It is man’s reaction to belief in a hypothetical ghost-spirit world—the human belief-reflex, excited by the realization and fear of the unknown. Revelatory religion is propounded by the real spiritual world; it is the response of the superintellectual cosmos to the mortal hunger to believe in, and depend upon, the universal Deities. 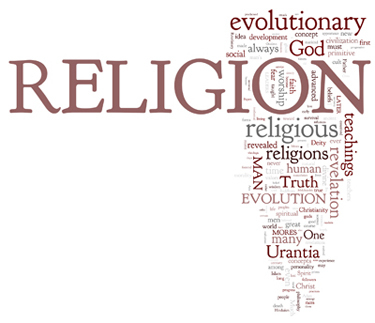 Evolutionary religion pictures the circuitous gropings of humanity in quest of truth; revelatory religion is that very truth. 92:5.11 3. The post-Melchizedek era. Though Amenemope and Ikhnaton both taught in this period, the outstanding religious genius of the post-Melchizedek era was the leader of a group of Levantine Bedouins and the founder of the Hebrew religion —Moses. Moses taught monotheism. Said he: “Hear, O Israel, the Lord our God is one God.” “The Lord he is God. There is none beside him.” He persistently sought to uproot the remnants of the ghost cult among his people, even prescribing the death penalty for its practitioners. The monotheism of Moses was adulterated by his successors, but in later times they did return to many of his teachings. The greatness of Moses lies in his wisdom and sagacity. Other men have had greater concepts of God, but no one man was ever so successful in inducing large numbers of people to adopt such advanced beliefs. 92:5.12 4. The sixth century before Christ. Many men arose to proclaim truth in this, one of the greatest centuries of religious awakening ever witnessed on Urantia. Among these should be recorded Gautama, Confucius, Lao-tse, Zoroaster, and the Jainist teachers. The teachings of Gautama have become widespread in Asia, and he is revered as the Buddha by millions. Confucius was to Chinese morality what Plato was to Greek philosophy and while there were religious repercussions to the teachings of both, strictly speaking, neither was a religious teacher; Lao-tse envisioned more of God in Tao than did Confucius in humanity or Plato in idealism. Zoroaster, while much affected by the prevalent concept of dual spiritism, the good and the bad, at the same time definitely exalted the idea of one eternal Deity and of the ultimate victory of light over darkness. 92:5.16 The future of Urantia will doubtless be characterized by the appearance of teachers of religious truth—the Fatherhood of God and the fraternity of all creatures. But it is to be hoped that the ardent and sincere efforts of these future prophets will be directed less toward the strengthening of interreligious barriers and more toward the augmentation of the religious brotherhood of spiritual worship among the many followers of the differing intellectual theologies which so characterize Urantia of Satania. 11. Sikhism —the most recent. 92:6.14 The most advanced religions of ancient times were Judaism and Hinduism and each respectively has greatly influenced the course of religious development in Orient and Occident. Both Hindus and Hebrews believed that their religions were inspired and revealed, and they believed all others to be decadent forms of the one true faith. 92:6.20 Ancestor worship onetime constituted a decided advance in religious evolution, but it is both amazing and regrettable that this primitive concept persists in China,Japan, and India amidst so much that is relatively more advanced, such as Buddhism and Hinduism. In the Occident, ancestor worship developed into the veneration of national gods and respect for racial heroes. In the twentieth century this hero-venerating nationalistic religion makes its appearance in the various radical and nationalistic secularisms which characterize many races and nations of the Occident. Much of this same attitude is also found in the great universities and the larger industrial communities of the English-speaking peoples. Not very different from these concepts is the idea that religion is but “a shared quest of the good life.” The “national religions” are nothing more than a reversion to the early Roman emperor worship and to Shinto—worship of the state in the imperial family. 92:7.4 All these religions have arisen as a result of man’s variable intellectual response to his identical spiritual leading. They can never hope to attain a uniformity of creeds, dogmas, and rituals—these are intellectual; but they can, and some day will, realize a unity in true worship of the Father of all, for this is spiritual, and it is forever true, in the spirit all men are equal. 92:7.12 These intermediate stages of idolatrous hesitation in the transfer of veneration from the human and the visible to the divine and invisible are inevitable, but they should be shortened by the consciousness of the facilitating ministry of the indwelling divine spirit. Nevertheless, man has been profoundly influenced, not only by his concepts of Deity, but also by the character of the heroes whom he has chosen to honor. It is most unfortunate that those who have come to venerate the divine and risen Christ should have overlooked the man—the valiant and courageous hero—Joshua ben Joseph.